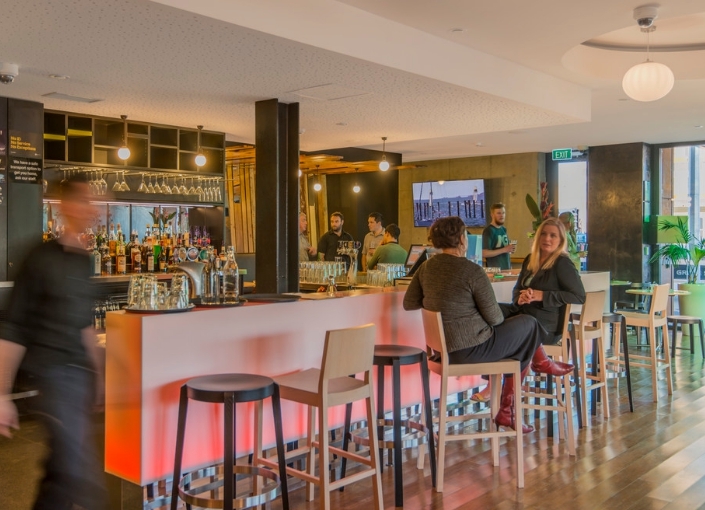 Bright and innovative with a prime central city position, BreakFree on Cashel is your ideal Christchurch Hotel. Dine onsite at the Hotels Restaurant and Bar, or if you fancy stepping out, you are within walking distance to some of the City’s best Restaurants. Reception is open 24 hours and if you don’t have time to wait in line, you’ll find the express check-in a great option. BreakFree on Cashel is perfect for Business Travellers or those who want to explore this reimagined City. With its unique urban feel, you’ll be impressed with the design and level of integrated technology. The rooms come in an array of formations, and include unparalleled technology extras. From SMART TV’s with device mirroring and wireless keyboards to the fastest broadband download speed in Christchurch and a mobile app for room service.